There is some reason for caution. 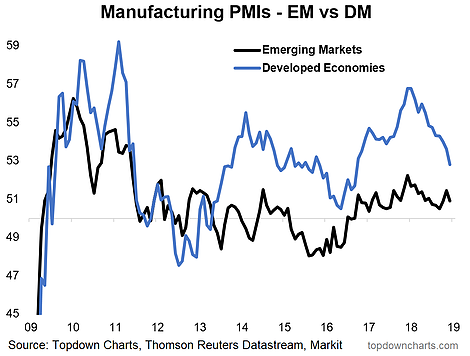 The EM cyclical/defensive revival is likely a reflection of the disparity of DM vs. EM M-PMIs. The chart below shows another way of measuring global cyclicality through the industrial metals to gold ratio (red line) against the US equity to Treasury ratio (grey bars). 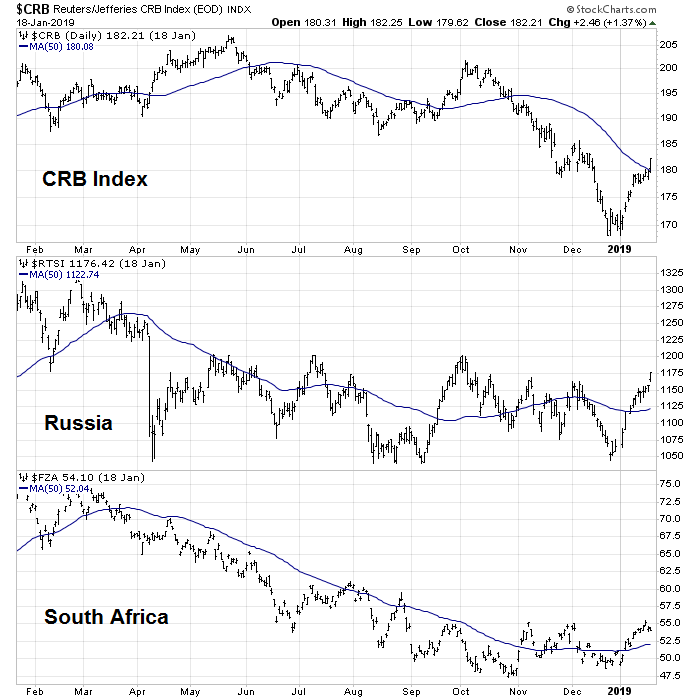 As the chart shows, both are correlated to each other, and the industrial metals to gold ratio is still falling. 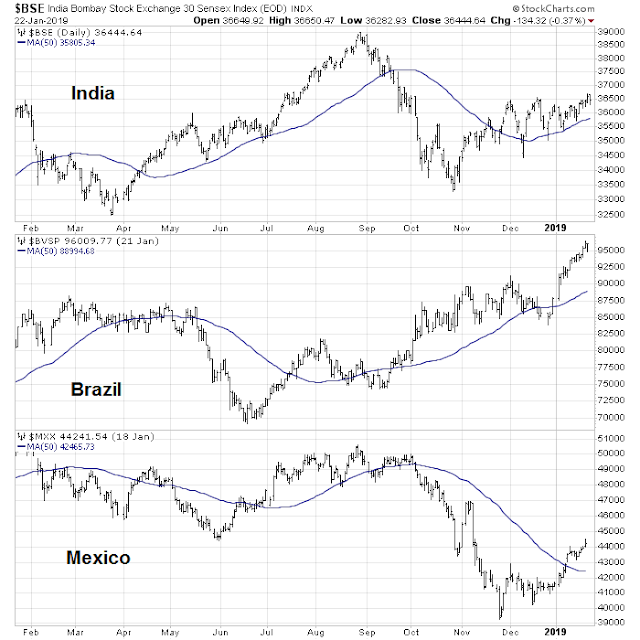 In addition, the relative performance of global industrial stocks to MSCI All-Country World Index (ACWI) continues to roll over. Investors also need to understand that not all EM equities behave in a uniform way. 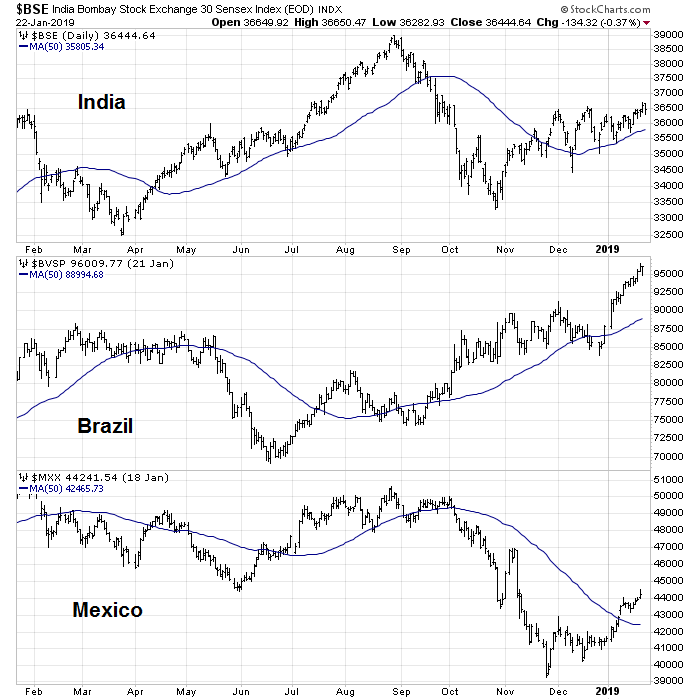 Major market leaders can be found in India and selected Latin American countries. 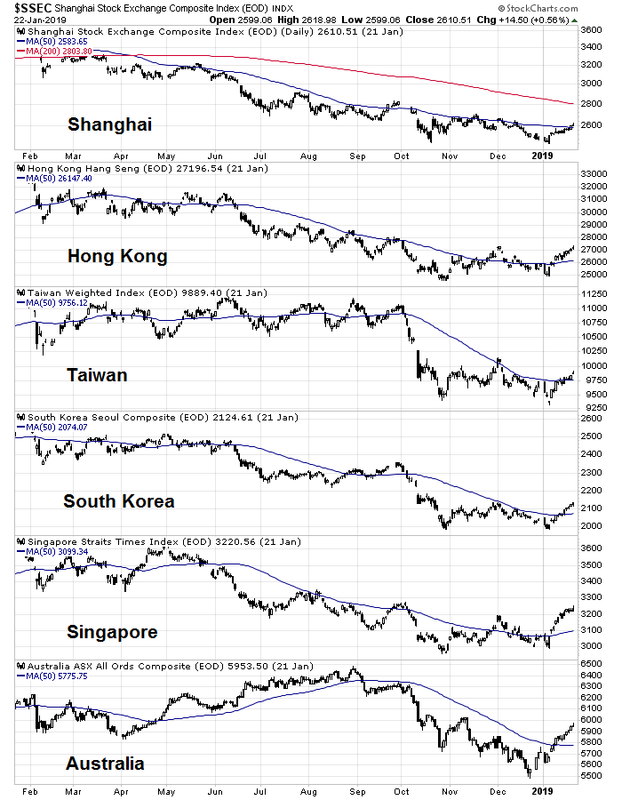 The markets of China and her major Asian trading partners (most of which are not classified as EM) are lagging, though they appear to be trying to bottom. 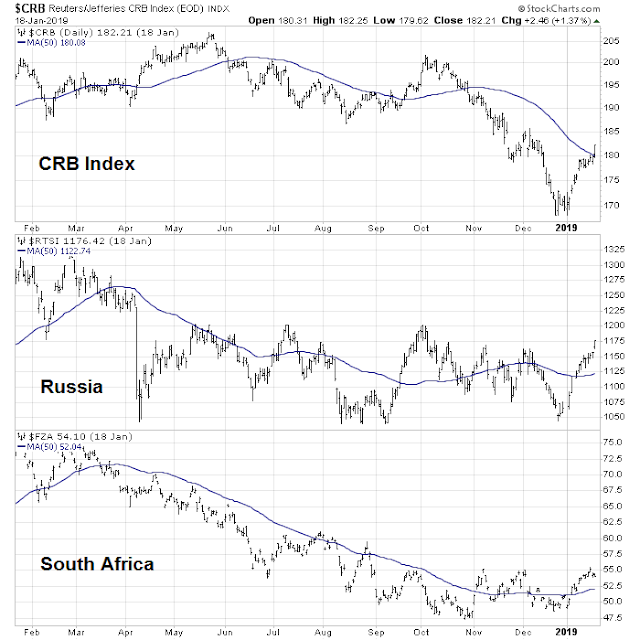 Similarly, commodity prices, as well as the stock markets of EM resource extraction countries, which are highly China sensitive, are also struggling. 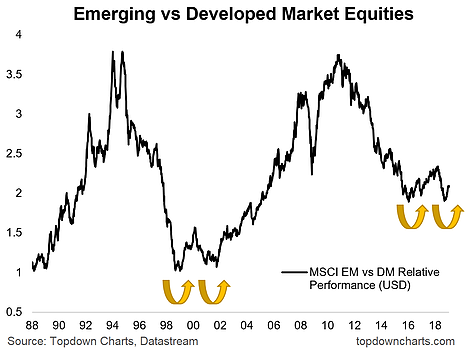 In conclusion, a commitment into EM equities represents a high-beta bet on global growth. If you want to buy EM, be selective and focus on the countries and economies that have shown signs of renewed growth independent of the world economy. 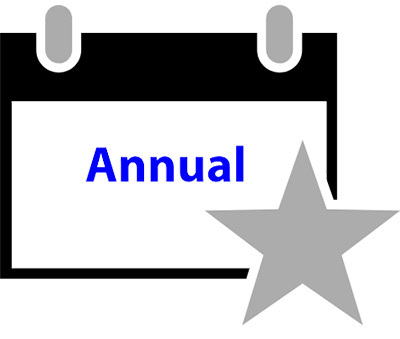 The jury is still out on a cyclical growth turnaround. As always, China remains the elephant in the room. More on that topic later. Urban Carmel, in his Fat Pitch, has argued that the BAML survey, at least at extremes, is a contrary indicator. 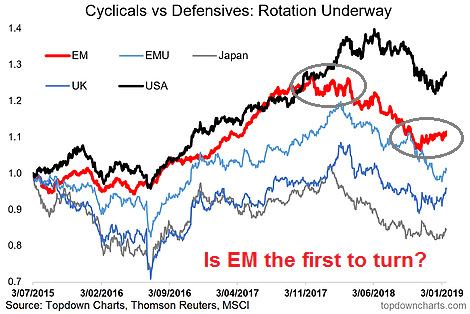 GEM allocations are not extreme yet, but I wonder if the fact that “institutional managers have been piling into emerging market equities” might suggest caution is in order? I´m from Brazil and we are very optimistic about the new government, because it is the first in many years that it is market-friendly and proposes to adopt liberalizing measures and reforms to reduce the fiscal deficit. 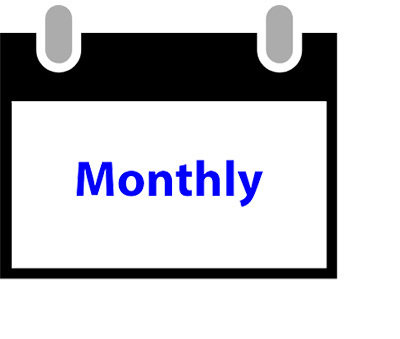 Cam – is there a way to access the BAML survey? I have poked around every now and then with no luck. You have to be BAML client. Urban Carmel and others have usually posted highlights but the full details are not publicly available.